Do you have upper arm flab or a little bit of extra fat that hangs on the back of your arms? The fat on your upper arms is particularly stubborn as we age and diet and exercise may not be enough. Luckily, we have laser technology at our side to help us the battle the fat. Using light-based breakthrough technology, Noydeen Beauty is delighted to offer SculpSure to achieve fat reduction in problem areas like excess fat in the upper arms for long-term results. 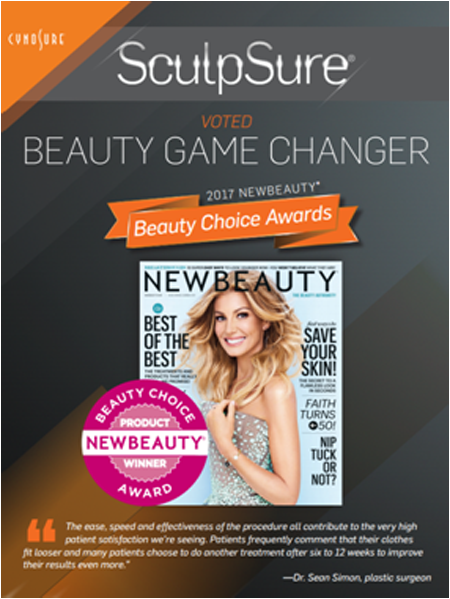 SculpSure is a safe, effective, and entirely new approach to noninvasive fat removal and body contouring.